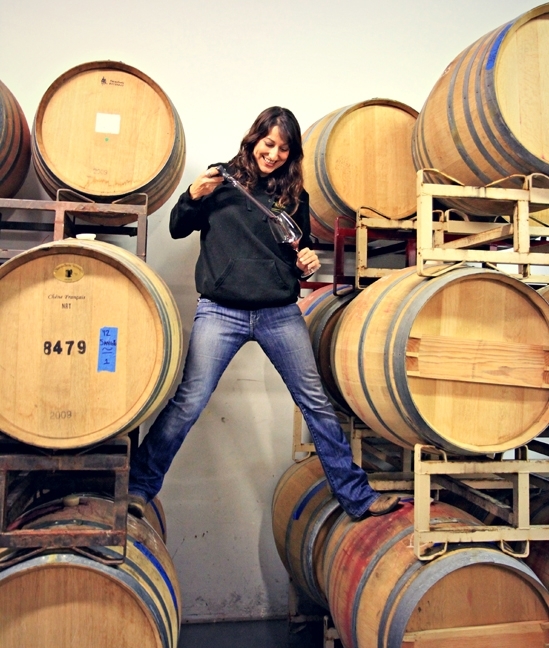 When hard-working Angela Soleno followed her heart, starting her own wine label in 2008, she still worked full-time at wineries in Los Olivos, bartended on weekends in Ventura, and took freelance writing assignments to make ends meet. The single mother of two, who grew up in Orcutt, also juggled driving her children to cheer practice and guitar lessons, and all the while taking night classes at Allan Hancock College in Santa Maria to learn more about winemaking and viticulture. Turiya Wines are handcrafted by Angela Soleno at her winemaking facility in Lompoc, where she invites customers to sample wines from the barrel. 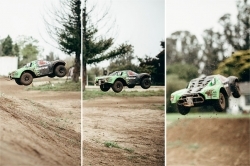 “Looking back, I don’t know how I did it or when I slept,” Soleno marveled. She credits her dad and friends for supporting her through those sleepless lean years, whether it was helping to haul fruit or sorting grapes. “I won’t pretend that I could have done it without [them],” she added. Soleno started producing wine under her label Turiya Wines at Central Coast Wine Services, a warehouse in Santa Maria, home to many small artisan wineries under one roof. “I had no prior experience. The facility had everything I needed at my fingertips, including other winemakers whose brains I got to pick. All I needed was fruit and some barrels,” she said. That first year, she contracted for 1 ton of cabernet sauvignon and 1 ton of Syrah, both from Camp 4 Vineyard in Santa Ynez. The 34-year-old Soleno currently handcrafts her luxury wines—Bordeaux and Italian-style wines—in Lompoc at 316 North F St., in a small industrial space that she shares with Scott Cellars. Turiya Wines produces luscious luxury wines using red grape varieties such as petit verdot, cabernet sauvignon, malbec, syrah, and sangiovese. Bottles are screen printed in 24K gold. She wants her winery to stay “small and focused,” producing less than 300 cases a year of ultra premium boutique wines. Soleno cherry-picks only the best grapes, takes great care of that fruit in the winery, will not manipulate her wine to enhance the flavors, and lets her wines age much longer than most wineries. “I age the wines for three years in oak, bottle age it at least one more year, then release. Even though I began making wine in 2008, my first release wasn’t until 2013 because of my dedication to the aging process,” she said. Turiya Wines currently range in price from $65 to $85 a bottle. Soleno believes that low-quality wines are a waste of time, money, and taste buds. 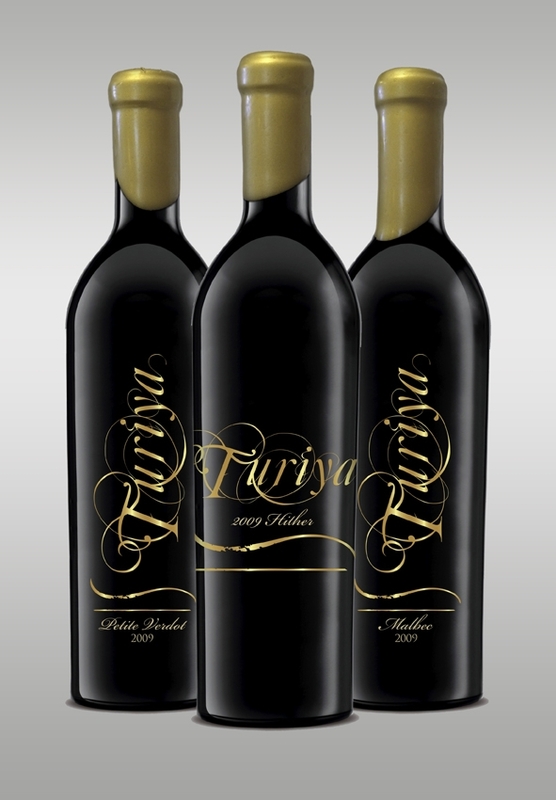 Turiya Wines are sold to the public via an allocation list accessible at turiyawines.com, or by phone at 478-7016. In addition to being able to shop online, members of the allocation list are guaranteed two bottles of each wine coming out in the future. Want to taste Turiya Wines? Set up a $15 tasting at the winery, or for $25 you will sample the winery’s current release of bottled wines, plus Soleno will walk you through the barrels to taste wines still aging in the cellar. “By definition this pure state of consciousness is where reality and truth align,” Soleno said. Sun wine and food writer Wendy Thies Sell also tries to stay small and focused. Contact her at wthies@santamariasun.com.